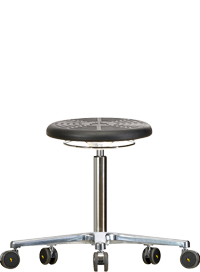 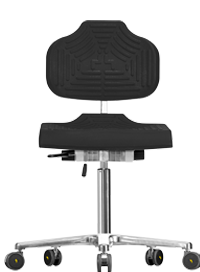 Messung-Werksitz has been the specialist for ergonomic workplaces. 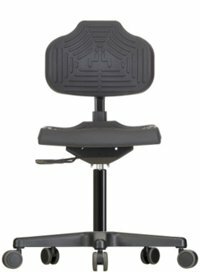 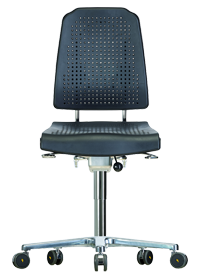 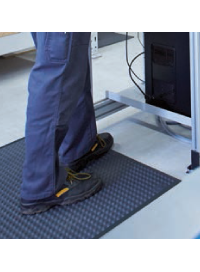 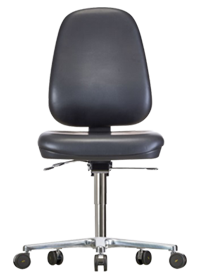 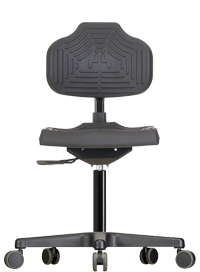 Whether it is a sitting or standing workstation, Messung-Werksitz is always ready to offer individualized products with maximum comfort. 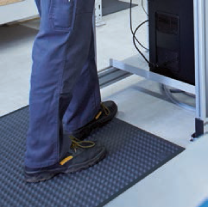 Messung-Werksitz’s high quality standards are evidenced by our ISO 9001 certification as well as our product warranty. 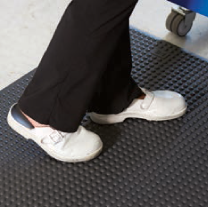 The elastic texture and the curved nubs of the Werkstep workplace anti fatigue esd mats reduce the load on bones, joints and musculature. 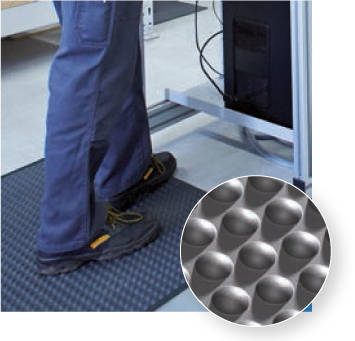 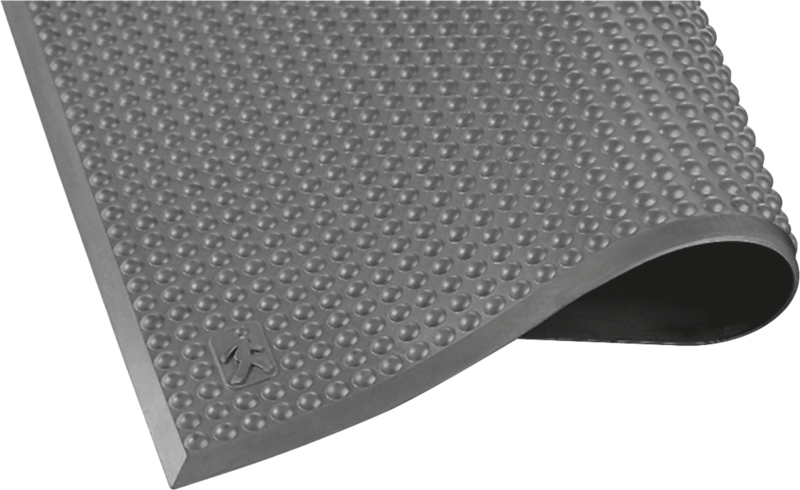 Pressure on the sensitive toe and ankle area is considerably reduced since the Werkstep anti fatigue ergonomic mat cushions the weight. 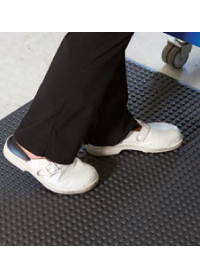 Imperceptibly, the feet are always in motion which in turn stimulates blood circulation. 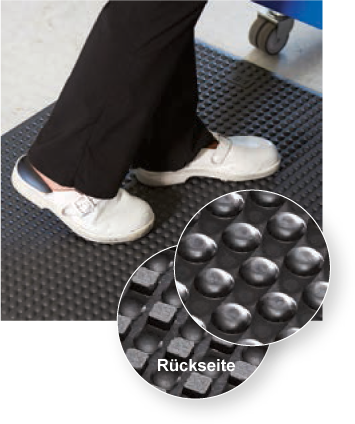 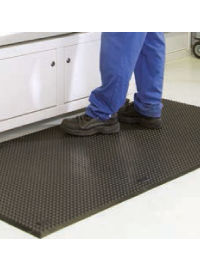 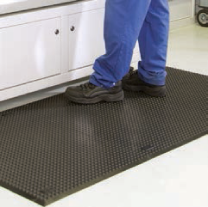 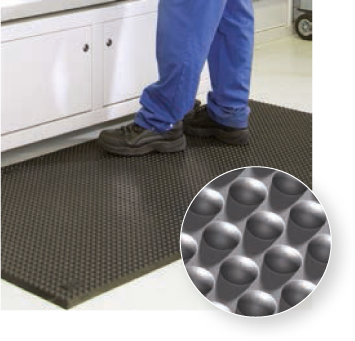 The Werkstep anti slip, ergonomic mats stimulates the blood circulation in the legs, you stand permanently comfortable and relaxed.